While connected devices currently reign supreme, authors of the report see a market opportunity for new players offering a purely digital service. While recent news of international product launches and recent M&As might suggest a cutthroat market, new data released this week by Research2Guidance suggest that there is still plenty of room in the digital respiratory health sector for both existing and new market players. According to “The Global Digital Respiratory Solutions Market 2009-2023” report, roughly 210 million asthma and COPD patients across the globe own a smartphone, tablet or smart watch — many of whom are still untapped by digital health companies developing connected spirometers, coaching apps, software-based clinical tools or other digital offerings. The report reviewed current market data and those from the past decade to construct two potential growth scenarios for the digital respiratory health, Jahns and coauthor Oleksiy Danilin, a senior analyst at Research2Guidance, explained. The first, a “baseline scenario,” anticipates an expansion of services that will be similar to what was already observed within the digital diabetes industry. This model places the global digital respiratory health market at a total value of $216 million by the end of 2023. However, a second model works off an assumption that digital health companies in the respiratory space have learned from their peers in other markets, and as a result predicts a total market value as high as $557 million by year-end 2023. While these apps and other connected asthma and COPD devices can look to diabetes or other major digital health markets for guidance, Jahns and Danilin did note one specific roadblock that could stymie market players’ immediate success. Historically, many of the companies now leading digital respiratory health made their entrance by linking connected inhalers, spirometers and other devices with a digital companion service, Jahns and Danilin explained. 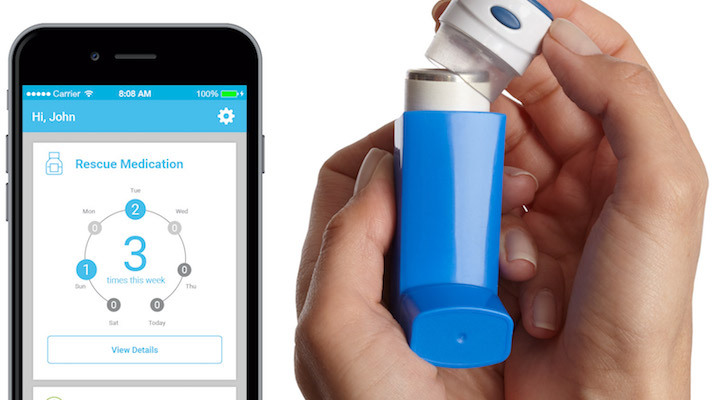 While this kind of approach is still valid due to the size and needs of the untapped market, the analysts said that they would encourage digital respiratory health hopefuls to consider non-device entrance strategies exclusively focused on providing valuable services to asthma and COPD patients.